For me, everyday is Taco Tuesday. I wake up craving breakfast tacos almost every morning and conveniently suggest dinner picks that just so happen to serve killer tacos. There’s just something about them that make it the perfect meal, 24 hours a day, seven days a week. 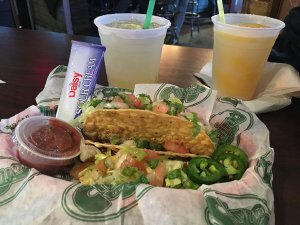 I do acknowledge not everyone is as passionate about tacos as I am; nevertheless, whether you’re a taco addict or simply a fan, the Visit Lubbock Team went on the hunt to discover Lubbock’s best tacos. Read on for the mouthwatering details. Across from the Texas Tech University campus on the famed Broadway Avenue, Chimy’s Cerveceria is a Lubbock staple and must be experienced first-hand. People show up for the margaritas, and stay for the food. During happy hour (all day Monday and Tuesday and 4 – 7 p.m. Wednesday through Friday), crispy beef tacos are $1.49 and can be dressed any way you want at the salsa bar. Once you’ve doctored your taco, enjoy the outdoor patio and catch a game on one of the TVs. Leal’s Tamale Factory got its start in Muleshoe, Texas in 1957, and when you eat at this small joint, you just might think your search for good Mexican food in Lubbock is over. Try the taco plate with one of each: bean, beef and chicken. They top them with cheese, lettuce and tomato and the crunchy goodness goes well with the rice and beans. Don’t forget to grab a bag or two of Leal’s handmade tortilla chips and a jar of salsa to take home. They use family recipes passed down since the 1920s, and you’ll taste for yourself why there’s no need for change. 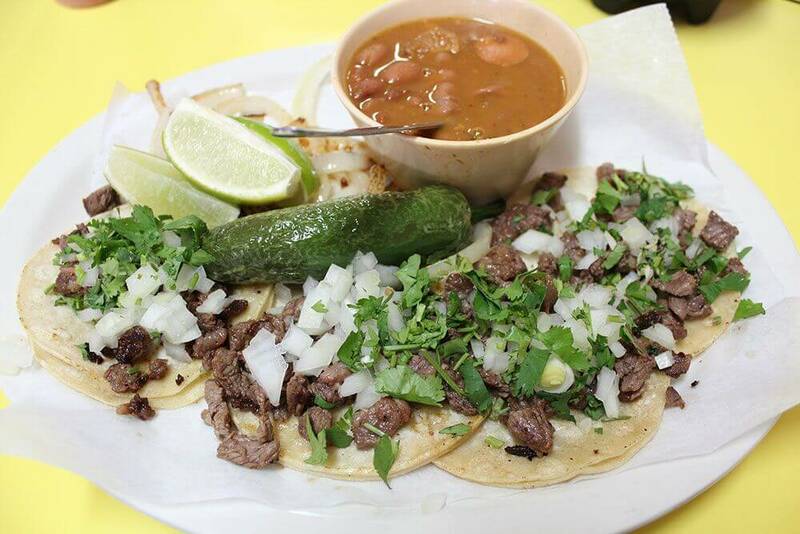 Head to Taqueria Autlán for tacos that follow the owner’s family recipes from Guadalajara, Mexico. Named after the city Autlán de Navarro, just south of Puerto Vallarta, this authentic Mexican restaurant serves up delicious tacos, which continue to bring visitors back time and again. Warm up your taste buds with chips and a special salsa with chunks of green scallion, white onion and cilantro while you ponder which type of taco you’ll have: carne asada, el pastor, barbacoa, carnitas or buche. These simple tacos come topped with the traditional white onion, cilantro, radishes, a side of sautéed onions a whole roasted jalapeno and a lemon to squeeze over the top. Don’t miss the salsa bar with special guacamole, jalapenos and red and green sauces to provide your taco with even more flavor. Grab tacos on-the-go at Taqueria Autlán’s street taco stand that’s connected to the restaurant from 2 – 10:30 p.m. Thursday through Sunday. Since 2013, German Tapia and his brother have been running Taqueria Autlán in Lubbock providing friendly service that keeps people coming back for more. Like Taqueria Autlán, Taqueria Y Panaderia Guadalajara specializes in Jalisco-style food. It’s a no-frills, focus-on-the-food kind of joint, and for 20 years they’ve pulled it off beautifully. Customers love it so much that they just expanded the restaurant. To start, you’ll get arguably the best chips and hot sauce in Lubbock. Try the Tacos Special, which comes with four carne asada tacos topped with fresh chopped white onion and cilantro, served with grilled onions, a roasted jalapeno and a lime wedge. For a dollar more you can get tripas or lengua meat instead. Pair the tasty tacos with charro beans, and you’ve got yourself a satisfying meal. Taqueria Y Panaderia Guadalajara also serves street tacos out of their food truck Thursday through Saturday (6 – 11 p.m. or until people stop coming, which sometimes is as late as 4 a.m.) and Sundays 3 – 11 p.m. With its convenient proximity to Texas Tech University and the Depot Entertainment District, this is one of the Mexican restaurants in Lubbock you have to try. 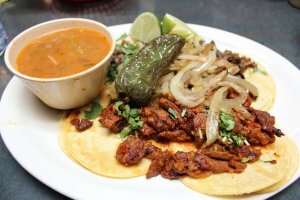 Lubbockites love authentic Mexican food and Taqueria Jalisco is another popular spot for enchiladas, fajitas and tacos. Order the mini taco plate that comes with two succulent al pastor and carne asada tacos piled high with grilled onions and cilantro and served with the traditional lime, roasted jalapeno and charro beans. Follow that up with chocolate sopapillas, and order a dozen flour tortillas to go – they’re that good. 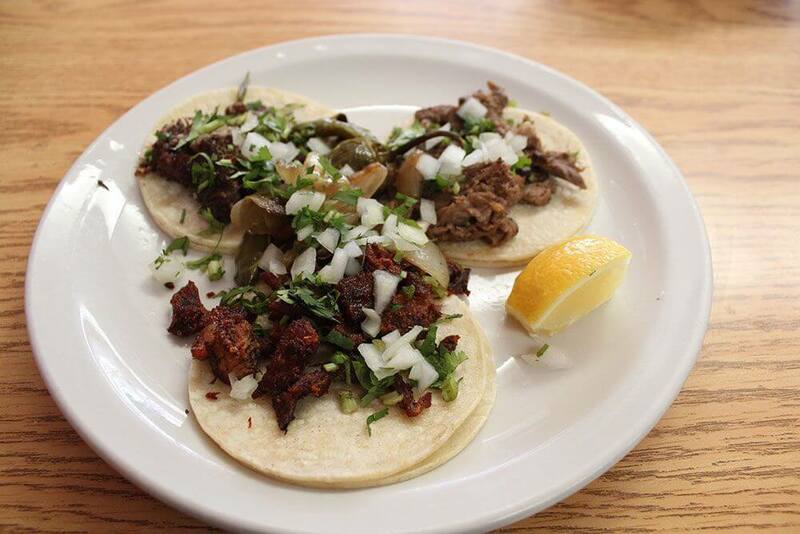 If you can’t wait to enjoy tacos for lunch, breakfast tacos are always a good idea, and Taqueria Jalisco just so happens to serve up some delicious ones. We’d love to hear which restaurant has your favorite tacos in the “Hub City!” Share your photos with us on social media using #LiveLoveLubbock for a chance to be featured on our home page. Craving more? 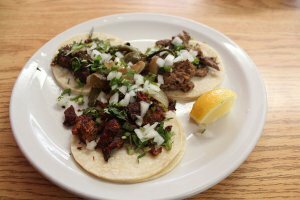 Check out what Texas Monthly said about the Best Tacos in Lubbock.